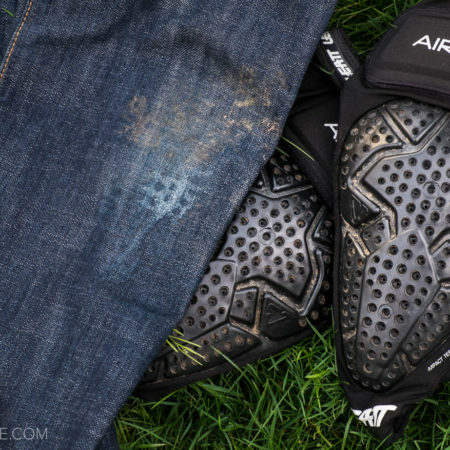 The Trail Skins Knee Guard from Dainese is an interesting take on the trail riding knee pad. Instead of utilizing a material like D30, Dainese sandwiches two different layers together to absorb the shock of impact should things go wrong. 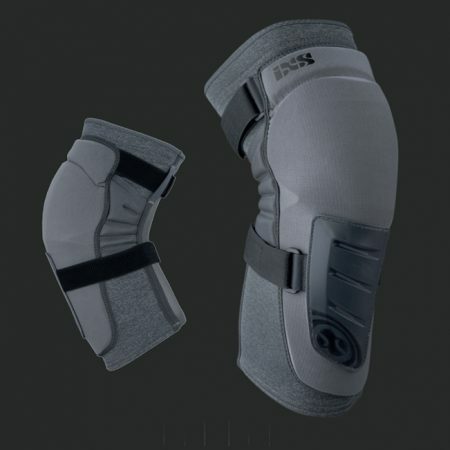 The outer layer is a polymer with high shock absorption that is bonded to an inner lay of polyethylene foam for an innovative take on the knee guard intended for protection over the miles. 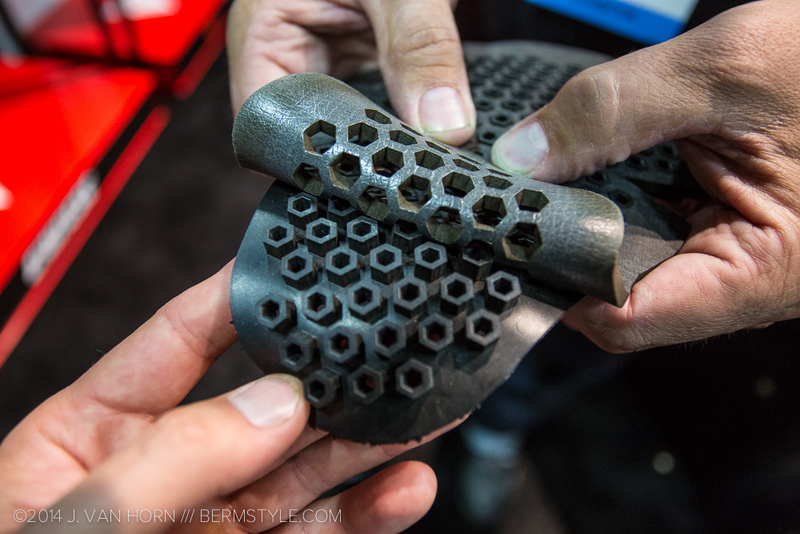 A sample of the Trail Skins at the Dainese booth at Interbike, used to show how the sections fit together. 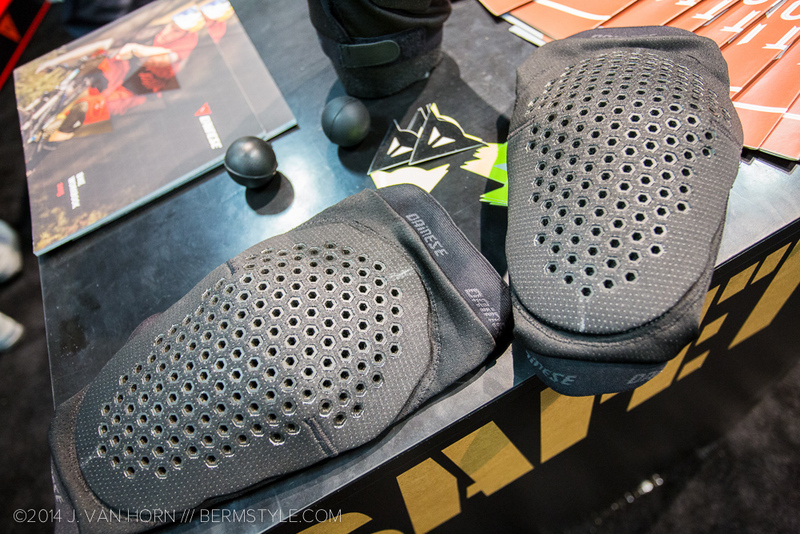 Unlike other knee pad designs that use perforations in mesh for ventilation, the foam is molded with vents formed into it which in theory would make it much more durable. Traditional mesh and perforations work well for the most part, until they’re actually used during a crash. Most of my pads only last a few good hits to the ground until they begin to separate at the impact spots, and the perforations continue to separate unless needle and thread is used in time. 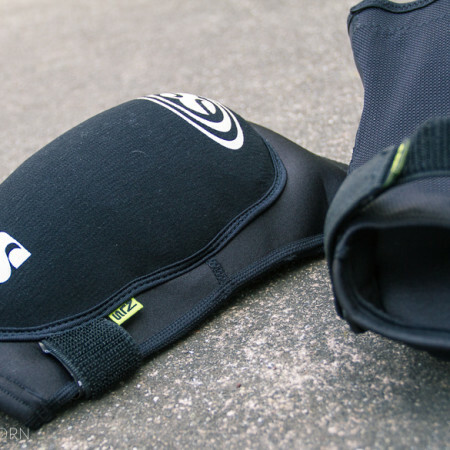 Silicone elastic bands and straps provide adjustment and help keep the pads in place.